You probably know that your immune system protects you from bacterial and viral infections, but chances are you have some common myths about what does and doesn’t support immune health. Your immune system is very complex, and that researchers don’t fully understand how it works yet. Many popular assumptions about it, especially in regard to infections, have not been backed by science. Below are some of the common myths about the immune system. 1. Taking lots of vitamins and minerals will boost your immune system. It’s true that long-term nutritional deficiencies weaken your immune system. It’s also true that getting the daily recommended intake of vitamins and minerals will keep you healthy. However, there’s no evidence that taking more than recommended daily intake will help ward off diseases. Unless you have a deficiency, taking high doses of vitamins may not benefit your immune system. Overdoing it with supplements may even be bad for your health. 2. Vitamin C supplementation prevents the common cold. Many people take vitamin C supplements to prevent infections during the cold and flu season. Unfortunately, research shows that vitamin C supplementation may not reduce cold incidences among the public. With that said, some trials show that vitamin C may reduce the duration of colds. Therefore, you can test yourself and see if it helps. 3. Having symptoms of illness means your immune system is weak. Most times, we get sick due to exposure, not because the immune system is weak. In volunteer studies, 95 percent of people who were exposed to the cold virus (it was dropped on their noses) became infected. Additionally, 75 percent of the people infected showed cold symptoms. The remaining 25 percent had asymptomatic infection, which means the virus was growing in the nose, but they had no symptoms. The next time you catch a cold, don’t conclude that it happened because your immune system is weak. 4. An active immune system makes you healthier. Did you know that a hyperactive immune system can cause allergic reactions to substances that are not harmful? In fact, a hyperactive immune response has been linked to asthma, lupus, atopic dermatitis, and food allergies. 5. 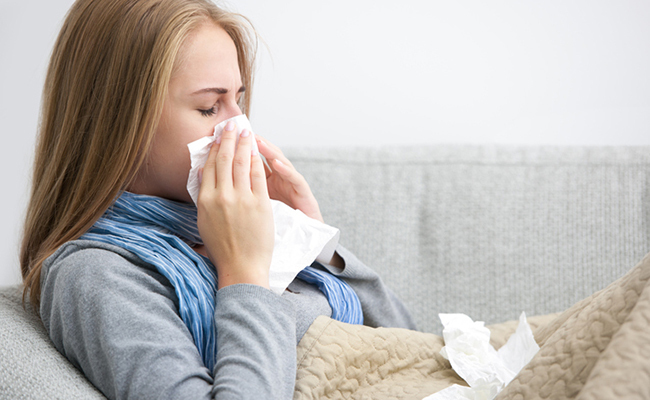 A fever weakens your immune system. According to WebMD, a fever can actually help you fight off infections by increasing body temperature, which consequently increases cells function. High body temperatures also make it hard to viruses and bacteria to thrive, but there are some cases in which you should treat a fever. It’s also advisable to see a doctor, if your fever persists for several days. 6. Vaccines weaken your immune system. Some parents refuse vaccines, because they worry that they will harm their children’s immune systems, but this is just not true. Vaccines actually strengthen your immune response without affecting healthy cells. What’s the most common immune system myth you see being spread around? 1 Is There A Difference Between Mindfulness and Meditation?